Maintaining a healthy, happy aquarium doesn't have to be labor intensive with Lee's® Ultimate Gravel Vac® the job just became easier. 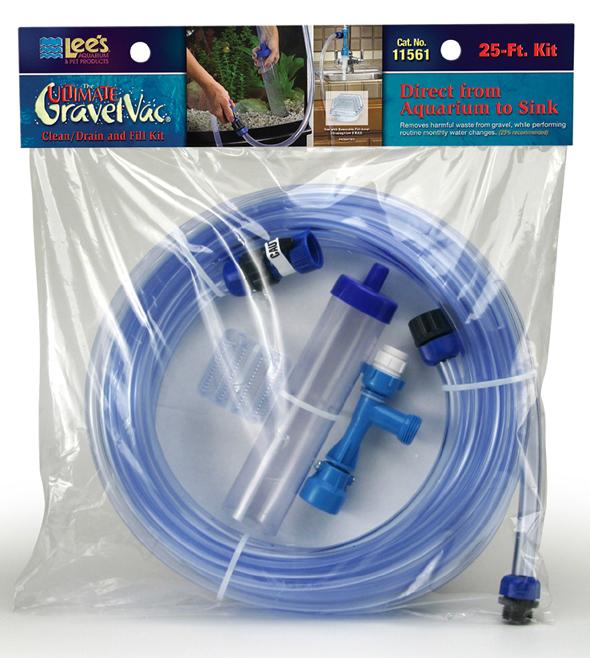 The Ultimate GravelVac® attaches directly to most faucets and the 25' hose allows water to drain directly into the sink and refill is a breeze. Attach it directly to most faucets. Use the faucet adapter if necessary. Water changes refresh your aquarium with precious nutrients and remove excess debris/fish waste, uneaten food and decomposed plant matter.